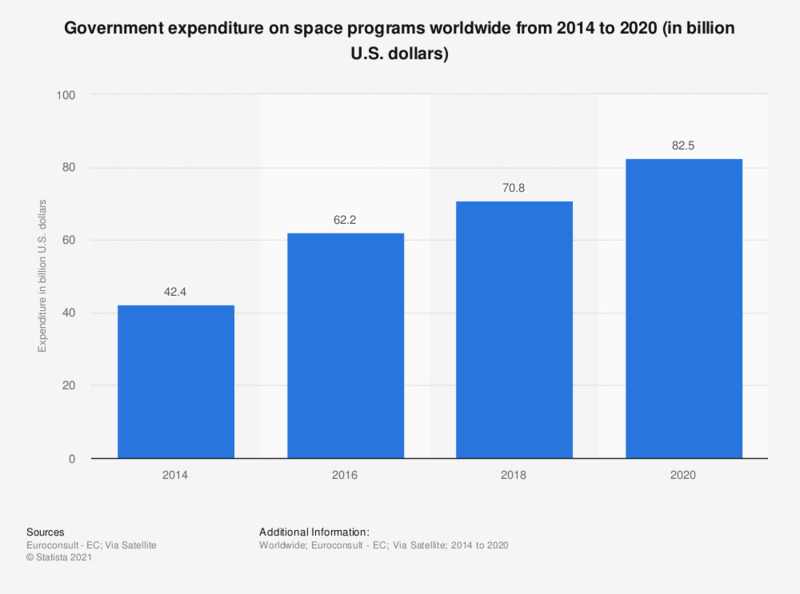 This statistic shows the global government space program spending in 2017 and gives an estimation for 2027. In 2017, government expenditure on space programs worldwide amounted to 14.6 billion U.S. dollars. The United States was the leading spender in that year. * Data for 2027 is a forecast.